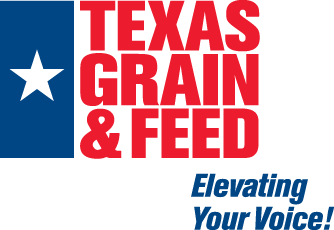 The following rules should govern all disputes of a financial, mercantile or commercial character connected with or arising in grain, hay, commercial feeds, mill products, or seeds, arising between members of the Texas Grain and Feed Association, and shall be the basis of arbitration on such controversies unless otherwise and specifically agreed at the time of the trade or subsequent thereto. Rule 2. TERMS: The word “terms” shall mean the weight and inspection of a shipment shall be determined in the market agreed upon, or understood at time of sale. (a) USUAL TERMS: The specification of Rule 1 shall apply except in cases where the buyer and seller have been trading on agreed terms and conditions, in which event it shall be sufficient for the words “usual terms” to be used in confirmation, or even to omit any reference to “terms.” In such cases it shall be implied that such terms and conditions as governed previous trades of a like character, shall apply. (b) TERMS “24 HOURS”: The term “24 hours” as used in these Rules shall be construed to mean 24 hours, not including Saturdays, Sundays or legal holidays. (1) On FOB origin or FOB basing point, contracts at time and place of shipment. The time is the moment of acceptance of the appropriate shipping documents by the carrier. (2) On delivered contracts, when constructively placed, or otherwise made available at buyers’ original destination. (3) On contracts involving in-store commodities, at time of contracting or transfer, and/or mailing of documents (if required) by certified mail, unless to the extent warehouse tariff, warehouse receipt, and/or storage contract assumes the risk of loss and/or damage. (b) Class Y Weights - A class Y weight shall be a partially supervised weight that meets the requirements specified by the Federal Grain Inspection Service in their regulations implementing the U.S. Grain Standards Act. (2) CERTIFIED WEIGHTS: A certified weight shall be any weight that is obtained by a licensed weigher, using an approved scale, both the weigher and the scales being under the general supervision of a disinterested supervisory agency. The weight shall be documented by a certificate which under the rules of the Association of American Railroads is accepted by the railroads for claim purposes at 100% less tariff tolerances. (a) CLASS I - A weight documented by a weight certificate obtained by a licensed weigher using an approved scale under 100% supervision of a disinterested third party. (b) CLASS II - A weight documented by a weight certificate obtained by a licensed weigher using an approved scale under a minimum of 25% supervision of a disinterested third party. (a) CLASS III - A weight documented by a weight certificate obtained by a licensed weigher using an approved scale. On rail grain shipments, truck weights shall not apply, unless otherwise specified. (B) OFFICIAL INSPECTION: The term “official inspection” means an inspection, grading and certification under Class A Official Inspection (unless otherwise specified at time of purchase or sale) by an official licensed inspector in accordance with the regulations and instructions under the U.S. Grain Standards Act. Class A Official Inspection (white certificate) means an inspection and certification by an official inspector employed by an official inspection agency, of an official sample taken by an official sampler employed by an official inspection agency. Class B Official Inspection (yellow certificate) means an inspection and certification by an official inspector employed by an official inspection agency, of an official sample taken by a grain elevator or warehouse employee licensed under the U.S. Grain Standards Act. Class C Official Inspection (pink certificate) means an inspection and certification by an official inspector employed by an official inspection agency of any submitted sample. The term “official inspection” without specifying which class shall mean Class A Official Inspection. Unless otherwise specified, Official Inspection shall include only official grading factors which are included in the U.S. Grain Standards Act. Rule 6. CONFIRMATIONS OF CONTRACTS : The buyer and seller, no later than the following business day of trade, shall transmit to each other, a confirmation in writing (the buyer a confirmation of purchase and the seller a confirmation of sale), setting forth the specifications agreed upon in the original articles of trade. The confirmation may be transmitted by facsimile or by mail. Upon receipt of said confirmation, the parties shall carefully check all specifications, and upon finding any difference, shall immediately notify the other party to the contract by wire or telephone or facsimile and confirm in writing, except in the case of manifest errors and differences of minor character, in which event, notice by return mail will suffice. (a) When a trade is made through a broker, it shall be the duty of the broker, not later than the following business day of trade, to send a written confirmation by mail or by facsimile to each of the principals (to the buyer a confirmation of sale, and to the seller a confirmation of purchase) setting forth the specifications of the trade as made by him. Upon receipt of said confirmation, the parties thereto shall check all specifications named therein, and upon finding any differences, shall immediately notify the other party to the contract, and the broker; by wire or telephone or facsimile, and confirm it in writing. In default of such notice, the contract shall be filled in accordance with the terms of the confirmation issued by the broker. (b) ONE CONFIRMATION: Where only one principal to a trade, not made through a broker, confirms, this confirmation shall be binding upon both parties, unless objected to at time of receipt of same. (a) When grain is sold “loaded” the Buyer shall furnish billing instructions to a named destination to the Seller at the time of trade or by 4:00 p.m. Central Time, whichever is later. (b) When grain is sold other than loaded, the Seller must notify the Buyer by 12:00 noon, Central Time, that the cars are ready for loading and billing that day. The Buyer must by 4:00 p.m., Central Time on the same day furnish billing instruction to a named destination. On notification made between 12:00 noon and 4:00 PM Central Time the buyer has until 10:00 a.m. Central Time the following day to furnish same. Saturday, Sunday and legal holidays are excluded. (c) In all cases where sales are made “Buyer’s Option,” unless otherwise specified in the contract, the Seller shall be entitled to ten days (excluding Saturday, Sunday and Holidays), after receipt of billing instructions in which to make a shipment. (d) Should the Buyer fail to furnish billing instructions as specified in (a) or (b) above, the Seller shall have the right to either (1) agree with the Buyer to extend the time allowed; or (2) after having given 24 hours notice, excluding Saturdays, Sundays and legal holidays, cancel the affected portion of the contract at fair market value. The 24 hour notice period provided above shall in no way extend the billing instruction time period. (e) In all cases where sales are made on carrying charge basis, such charges are to cease on the day the grain is loaded, but in no case will carrying charges be assessed against the Buyer covering actual shipment taking place more than ten calendar days, after requested shipping date. (f) If storage charges are not agreed upon, posted tariff rates shall govern. Carrying charges shall also accrue to the benefit of the seller at the rate of 1 percent above the then existing prime rate as reported by the WSJ on the date in question. Provided, however, that such carrying charges shall in no event exceed that maximum legal rate of interest. (a) When making contracts, a specific time in which shipment of delivery is to be made shall be mentioned. Any given number of days shall mean calendar days, excluding date of sale, in which to load and ship grain to apply on a sale for shipment or to deliver at the agreed destination grain sold for delivery. The word “shipment” when used in these Rules shall mean that shipping instructions have been filed by the shipper with the authorized agent of the carrier. (b) Grain to apply for sale for shipment must be actually loaded and bill of lading dated and signed within life of contract. The word “delivery” when used in these Rules shall mean that the conveyance has been constructively placed, or otherwise made available at the Buyer’s destination. (c) Cars diverted shall apply on contracts in accordance with the date or original bill of lading regardless of date of diversion, provided that more than three days’ delay in transit has not been occasioned by such diversion. (d) Where no specifications as to time of shipment is named in the contract, ten days shipment shall apply. (e) If the words “immediate,” “quick” or “prompt” are used, they shall be understood to mean three, five, and ten calendar days respectively. (f) First half of the month shipment shall be construed as meaning first fifteen days, including February; and last half of the month shipment shall mean the remaining days. (g) Scattered shipment during any contract period: The term “scattered shipment” is meaningless unless specifically qualified at the time of sale. (h) When contracts are extended by mutual consent and no time limit is specified, such an extension shall be for ten days. (i) All contracts between buyer and seller conveying a common quality and delivery period, shall be executed in chronological order from date of trade. (j) Contracts sold equal/monthly, where truck or rail is buyer’s option, buyer must notify seller shipping instructions by first business day of each contract month. (k) When the last day of the contract falls on a Saturday, Sunday or legal holiday, shipment may be made on the following business day. (a) When contracts are made “subject to no penalty on account of embargoes” is placed, the expiration date of the contract shall be extended for the duration of the embargo plus the additional number of days during which the embargo was in effect within the time of shipment specified by the contract. (b) When contracts are made subject to no penalty on account of strikes, the expiration date of the contract shall be extended for the duration of the strike plus the additional number of days within the time of shipment specified by the contract in which Seller was prevented from loading or billing. (c) In addition to (a) and (b) of this Rule, the shipment time shall be extended at least five (5) days beyond the contract period in addition to embargoed time and/or strike time. (d) When contracts are made “subject to penalty on account of inability to secure cars,” the Seller must use due diligence in ordering and obtaining empty cars from the carrier, and he should, as far as possible, ship all contracts in the order in which the sales are made and shipping instructions are received for each shipment period. (e) The burden of proof shall be upon the Seller to show that the conditions specified in sections (a), (b), and/or (d) above prevented shipment within contract time. (f) It shall be the duty of the Seller to advise the Buyer by means of rapid written communication, or telephone, confirmed in writing, upon or before the expiration date of the contract, of his inability to make the shipment or delivery within contract time. Embargo, strike and/or car clause shall be void, if the Seller fails to notify the Buyer as stated above. (a) SELLER’S DEFAULT: When grain is sold in Sellers Conveyance (truck or rail) and the Seller finds that he will not be able to complete a contract within the contract period, it shall be the duty of the Seller at once to give notice to the Buyer, whereupon it shall be the duty of the Buyer to give notice to the Seller electing immediately either to (1) agree with the Seller upon an extension of the contract; (2) buy-in, by the exercise of due diligence, for the account of the Seller, the unfilled portion of the contract; (3) cancel the unfilled portion of the contract at fair market value based on the close of the market the next business day; or (4) extend the contract for 10 calendar days, whereupon the expiration of such time, Buyer, at its option, shall immediately either cancel the unfilled portion of the contract outright or elect (1), (2) or (3) above. If the Seller fails to notify the Buyer of his inability to complete his contract, as above provided, the liability of the Seller shall continue, until the Buyer, by the exercise of due diligence, can determine whether the Seller has defaulted. If so, it shall be the duty of the Buyer to give notice to the Seller electing immediately either to (1), (2), (3) or (4) above. (b) BUYER’S DEFAULT: When grain is sold in Buyer’s Conveyance (truck or rail) and the Buyer fails to supply conveyance within the contract period, it shall be the duty of the Seller to give notice to the Buyer electing immediately either to (1) agree with the Buyer upon the extension of the contract; (2) sell-out, by the exercise of due diligence, for the account of the Buyer, the unfilled portion of the contract; (3) cancel the unfilled portion of the contract at fair market value based upon the close of the market the next business day; or (4) extend the contract for 10 calendar days, whereupon at the expiration of such time, Seller, at its option, shall immediately either cancel the unfilled portion of the contract outright or elect to (1), (2) or (3) immediately above. (c) The word “notice,” as used in this Rule shall mean verbal communication when possible, and in all cases confirmed by mail, facsimile, or other electronic means of communication. (2) Interest and storage to accrue at the prime rate as reported by the WSJ on the date in question plus two (2) percent and storage at posted elevator rate. If parties cannot mutually agree on (1) or (2), then (2) shall govern. (a) MEAN QUANTITY: On bushel contracts written “about” bushels, the bushel reference whether preceded by the word “about” or not, shall become the mean quantity for purposes of establishing tolerances. (b) TOLERANCES: Unless otherwise stipulated, on bushel contracts it shall be understood that a tolerance of 2 percent or 500 bushels, whichever is less, shall apply at contract price. A total tolerance of 5 percent more or less than the mean quantity up to a maximum of 15,000 bushels shall be permissible in the fulfillment of the contract, but if the total tolerance is in excess of the lesser of 2% or 500 bushels the full tolerance shall be settled at the market value described herein. When bushel contracts are written for more than one multi-car shipment, each multi-car shipment must be within 2 percent or 500 bushels, whichever is less, of a quantity established by dividing the total bushels by the number of shipments. The overfill or underfill on each multi-car shall be settled in accordance with (b) above. (c) TRUCK: Any overfill or underfill on truck grain shall be settled by the Buyer at the current afternoon market value at the close of the day that the truck grain is unloaded. (d) RAIL: It shall be understood that any overfill or underfill on rail grain shall be settled at the market value at the close of the first business day following the date of load or unload whichever weight is applicable of the last car in fulfillment of the contract. (e) MARKET VALUE:In the case of both truck and rail overfills or underfills, “market value” shall mean the basis at the close of the applicable business day and flat price shall be established at the time the overfill or underfill becomes known by both parties to the contract. Overfills and underfills shall be settled on a basis over or under the futures month currently used for the majority of cash trades. For example, to convert the basis for the day after the last load or unload to a basis relative to the futures spread of the day after last load or unload shall be used. Rule 13. BUYING IN: When the words “buy-in” occur in these Rules they shall mean an actual purchase of grain of like kind and quantity on the open market; provided, that when this is not feasible or would result in undue penalty to the Seller, the Buyer shall have the privilege of establishing a fair market value for the purpose of determining any loss properly chargeable to the Seller. SELLING OUT: Where the words “sell-out” are used in these Rules, they shall mean an actual sale of grain of like kind or quantity on the open market; provided, that when this is not feasible or would result in undue penalty to the Buyer, the Seller shall have the privilege of establishing a fair market value for the purpose of determining any loss properly chargeable to the Buyer. Rule 14. GRAIN SHIPPED FROM TERMINAL MARKETS: When terminal market grain is sold by receivers or distributors, located in terminals and interior markets, it shall be understood and agreed that the weights and official inspection of the market from which the grain is shipped shall govern, unless otherwise agreed or understood at the time of contract. Rule 15. TERMINAL MARKET SALES: Sales made out of any terminal market for a specified number of days’ shipment shall be filled with shipments from the points from which sold, unless otherwise agreed or understood at time of trade. Rule 16. HIGHER GRADES THAN CONTRACTS: The tender of a higher grade of the same kind of grain, seed, etc., than the one contracted for shall be deemed a value tender. Rule 17. QUALITY OUTSIDE CONTRACT TERMS: It shall be the duty of receivers, track buyers, and distributors of grain on regular market terms to exercise due diligence in seeing that cars are promptly inspected upon arrival, and on any cars which fail to grade according to contract terms, notify the seller of such failure to grade by a telephone call placed, or by a telegram filed no later than twelve o’clock noon of the next business day after the date of official inspection, reporting the grade of grain, their rejection or acceptance with a discount, whereupon it shall be the duty of the Seller receiving such notice to agree upon the discount with the Buyer, or to wire disposition at once. Off grade grain sold for the account of shippers, shall not apply on contract. Replacement shall be shipped within ten (10) calendar days. When mechanical samplers are used for unload grades, prevailing discount will apply. Rule 18. FLAT BILLING: Flat billing shall entitle the Buyer to all diversions and transit privileges accorded by the tariffs. Rule 19. ORIGIN INSPECTION: Grain sold for delivery, origin inspection, shall be covered by an inspection certificate of the grade contracted. When grain is being applied that is not in accordance with the contract, it shall be the duty of the Seller to notify the Buyer at the time of application, by telephone or wire or, if the grade is not available at the time of application, immediately by telephone or wire from the date of grade certificate. The Buyer will then advise Seller as to whether he can accept the car and at what discount. The submission of a certificate of a lower grade to apply on contract for a higher grade, shall be authority for the Buyer to sell the grain, represented by such certificate, for the account of whom it may concern, and proceed to buy-in, extend or cancel the original contract for the account of the Seller, notifying him same business day of such action. Rule 20. SAMPLE GRAIN: It shall be the duty of the Seller of grain by sample to furnish grain fully up to sample. The word “sample” used in this connection shall mean a portion of the shipment or of the lot from which the shipment is to be made, and must represent the identical grain shipped or to be shipped. The words “type sample” shall mean a sample of like character but not necessarily identical in all respects with the grain shipped or to be shipped. Shipments rejected on account of quality, shall be compared with the sale sample, by some duly authorized or agreed committee of the market in which such rejection is made, and the findings of said committee shall be final. Should the finding be in favor of the Buyer, the Buyer shall at once notify the Seller by wire, and it shall be the duty of the Seller, to make satisfactory adjustment with the Buyer within twenty-four hours (See Trade Rule 2); at the expiration of such time, if not adjusted, the shipment shall be subject to the order of the Seller and it shall be the duty of the Buyer to buy in for account of the Seller, cancel, or extend the defaulted contract and notify the Seller of his action. Should the Buyer and Seller fail to arrive at a basis for adjustment that would enable the Buyer to handle such grain not up to sample, and should said grain be finally rejected, it shall be the duty of the Seller promptly to reimburse the Buyer for the full amount of money advanced on such shipment so rejected. (1) On grain sold basis official or certified loading weights, it shall be the duty of the Seller to furnish to the Buyer a certificate of weight meeting qualifications of Rule 4 (a). Such certificate shall be mailed direct to the Buyer within three days of the date of shipment, unless attached to a subsequent draft and/or invoice. But in either case, Seller to mail it directly to the Buyer within five (5) calendar days after weighing. In the event that the Seller fails to perform as required above, Buyer has the right, in accordance with Rule 29, to delay payment of invoice or draft until Seller has complied, or else shall make prompt settlement on destination weight, official or certified if possible, or railroad track scale weight. At time of such final settlement, Buyer shall send Seller a weight certificate meeting requirements of Rule 4 (a) or a weight certificate or freight bill from railroad to document a railroad track scale weight. (2) On grain sold basis official or certified destination weights, it shall be the duty of the Buyer to furnish billing instructions to a destination where official or certified weights are available, as described in Rule 4 (b). Grain sold basis official or certified destination weights may not be diverted by Buyer to a destination where official or certified weights are not available except with the permission of the Seller. Such diversion agreement must be confirmed in writing, and shall describe what kind of alternative weights were agreed upon for final settlement. It is the duty of the Buyer, except at export terminals, to make final settlement to the Seller on each car or unit of cars within ten (10) calendar days after the date of unload, or after identity of Seller is known, whichever is later. On grain unloaded at export terminals, the unloading Buyer shall notify the original shipper or designated agent of the final unload weights by telephone or telex within two business days of unload, confirmed by mailing the original weight certificate or duplicate copy thereof to the original shipper or designated agent within five (5) business days of unload, accompanied by a statement covering the cost of weighing charges. Each car or unit of cars at time of application is to contain the name of original shipper or designated agent and loading elevator. The original shipper or designated agent is then to make final settlement with original weight certificate or duplicated copy thereof. All invoices are due payable on presentation. (3) On grain sold basis other than official or certified loading weights, it shall be the duty of the Seller to furnish to the Buyer a certificate of weight meeting the requirements of Rule 4 (a)(3)(b). Such certificate shall be mailed directly to the Buyer within three days of the date of shipment, unless attached to a subsequent draft and/or invoice. But in either case, Seller to mail it directly to the Buyer within five (5) calendar days after weighing. In the event that the Seller fails to perform as required above, Buyer has the right, in accordance with Rule 29, to delay payment of invoice or draft until Seller has complied, or else shall make prompt payment on destination weight, official or certified if possible, or railroad track scale weight. At time of such settlement, Buyer shall send Seller a weight certificate meeting requirements of Rule 4 (a) or a weight certificate or freight bill from railroad to document a railroad track scale weight. (4) On grain sold basis destination weights, it is the duty of the Buyer, except at export terminals, to make final settlement to the Seller on each car or unit of cars within ten (10) calendar days after date of unload, or after identity of Seller is known, whichever is later. When the destination weights are at export terminals, notification and settlement procedures will be the same as covered in section 2 above. Certificates meeting requirements of Rule 4 (a)(3)(b) shall accompany such final settlements. On grain sold on specific destination weights, cars may not be diverted by Buyer to any other destination except with the permission of the Seller. Such diversion agreement must be confirmed in writing, and shall describe what kind of alternative weights were agreed upon for final settlement. Any scale designed and normally used to weigh trucks in commerce, and inspected and approved by the State of Texas, shall be a valid weight provided, it is a single draft weight by a qualified weigher. Double weights are not applicable, unless agreed to in contract. (1) On grain sold basis official origin inspection, it shall be the duty of the Seller to furnish to the Buyer Class A, Class B, or Class C official inspection certificate, whichever is specified in the confirmation, and as described by Rule 4 (b). Such certificate shall be mailed direct to the Buyer within five days of the date of inspection unless attached to a subsequent draft and/or invoice. But in either case, certificates to be mailed direct to the Buyer within five (5) calendar days after inspection. In the event that the Seller fails to perform as required above, Buyer has the right, in accordance with Rule 29, to delay payment of invoice or draft until Seller has complied, or else shall make prompt settlement on an inspection en route or at destination. At time of such final settlement, Buyer shall send Seller a Class A, Class B or Class C official inspection, whichever is available, as described in Rule 4 (b). (2) On grain sold basis official destination inspection, it is the duty of the Buyer, except at export terminals, to make final settlement to the Seller on each car or unit of cars within ten (10) calendar days after date of unload, or after identity of Seller is known, whichever is later. On grain unloaded at export terminals, the unloading buyer shall notify the original shipper or designated agent of the official destination inspection by telephone or telex within two (2) business days of unload confirmed by mailing the original inspection certificate or duplicate copy thereof to the original shipper or designated agent within five (5) business days of inspection. A Class A, Class B or Class C official inspection certificate, whichever is specified by the contract, and as defined by Rule 4 (b), shall accompany such final settlements. On grain sold basis official destination grades, cars may not be diverted by Buyer to a destination where official inspection of the class specified by the original confirmation is not available, except with the permission of the Seller. Such diversion agreement must be confirmed in writing and shall describe what kind of alternative inspection certificates were agreed upon for final settlement. (3) When grain is sold basis destination inspection, and the Buyer, by the terms of the contract, has the option of selecting the destination, settlement shall be based upon the first contractually acceptable inspection point to which the grain was shipped. (1) A sample obtained for Class C Official grade shall be sample probed in a manner to obtain a representative sample of the grain on the truck but not less than 1250 grams. (2) A submitted sample will be delivered to a licensed grain inspector within three business days after sampling. (3) If a dispute arises between Buyer and Seller over the accuracy of submitted samples, nothing shall prevent the complaining party from requiring an official grade, provided he is willing to bear the extra expense to obtain such grade on any unfilled balance of the contract. (a) On delivered destination trades it shall be the duty of the Seller to load cars, in accordance with the rules and regulations of the railroads; and to assume any loss resulting from the non-observance of such rules and regulations. (b) On F.O.B. origin trades, it shall be the duty of the Buyer to advise the Seller of the minimum weight required to protect the Buyer’s route and rate to destination. (c) In the event the minimum weight prescribed by applicable tariff is increased between date of sale and date of shipment, the Seller shall deliver the minimum weight in effect on date of shipment, and any overage from the original contract to be invoiced at market prices on that date. If no size car is specified, a carload of shelled corn, wheat, soybeans, rye, flaxseed, barley or sorghum grains shall be 110,000 pounds to 120,000 and oats 100,000 to 110,000 pounds. If a 60,000 pound capacity car is specified, a carload of shelled corn, ear corn, wheat, soybeans, oats, flaxseed, rye, barley or sorghum grains shall be 60,000 to 66,000 pounds. If an 80,000 pound capacity car is specified, a carload of shelled corn, ear corn, wheat, soybeans, oats, flaxseed, rye, barley or sorghum grains shall be 80,000 to 88,000 pounds. If a 100,000 pound capacity car is specified, a carload of shelled corn, ear corn, wheat, soybeans, oats, flaxseed, rye, barley or sorghum grains shall be 100,000 to 110,000 pounds. If no size car is specified, a carload of shelled corn, wheat, soybeans, rye, flaxseed, barley or sorghum grains shall be 190,000 to 200,000 pounds, and oats 150,000 to 160,000 pounds. If a car of less than 4,400 cubic feet is specified, actual weight to apply but not less than 110,000 pounds. If a car over 4,400 cubic feet is specified, actual weight to apply but not less than 180,000 pounds. (c) In case of default on either boxcars or covered hopper cars, the contract shall be adjusted on the average weights as shown in Section (a) and (b). On bushel contracts, this Rule does not apply. (d) If the Seller loads more or less than the amounts in Section (a) and (b) in the size car contracted for, the Buyer shall accept it on contract and adjust the shortage surplus between actual weights and amounts shown in the Sections (a) and (b) at the market value at the close of the first business day following the date of load or unload, whichever weight is applicable. (e) OPEN TOP CARS: Unless otherwise specified, open top rail cars (covered or not) do not apply. Rule 26. GRAIN IN TRANSIT OR IN STORE: Grain shipped prior to the date of sale cannot be applied on contract for shipment, without the Buyer’s consent. Rule 27. ROUTING ON GRAIN SOLD DELIVERED: Grain sold delivered, shall be delivered by any line at the discretion of the Seller, unless otherwise agreed at time of trade. When such shipments are routed by the purchaser, the Seller’s liability for routing ceases when bill of lading is furnished in accordance with purchaser’s instructions. Rule 28. GRAIN SOLD F.O.B. LOADING POINT: (a) If Buyer elects to load by rail, cars shall be routed in accordance with billing instructions furnished by the Buyer. Rule 29. PAYMENT OF ORIGINAL DRAFTS/OR INVOICES: It shall be the duty of the Seller to mail or present to the Buyer, or other such consignee as may have been previously designated by the Buyer, an invoice, giving the initial and number of the car, kind and grade of grain, actual or estimated weight (state which), price, contract on which shipment is to apply, date of contract, date of shipment, point of origin, amount of invoice and complete railroad routing. Unless otherwise agreed when a contract is made, it shall be understood that sight drafts or invoices are subject to payment on presentation to the Buyer or his designated agent, when properly documented and substantiated by Bill of Lading, and/or Delivery Order and if applicable, weight and inspection certificate. The shipper shall draw his drafts “without exchange” of payable at sight or on demand; but if made payable on arrival and inspection of shipment, he may draw “with exchange” and the Buyer shall pay the charges. In no case shall exchange be added to invoice or included in the amount of the draft. Rule 30. UNPRICED CONTRACTS: Unless otherwise agreed, all unpriced contracts shall be priced within the day’s price range at Buyer’s option, while futures markets are open and tradeable, but in no case shall pricing go beyond the requested date of shipment, or the date of actual shipment, or the day before the first notice day of the contract futures month involved, whichever comes first. Rule 31. BILLS OF LADING: Bills of lading attached to a draft shall be original and negotiable, and in conformity with the specifications of the contract on which shipment is to apply. They must be properly executed and signed by an authorized agent of the carrier within the life of the contract. Any loss resulting from irregular or incorrect bills of lading shall be paid by the Seller. (a) If no truck size is specified, a truck load shall be 50,000 pounds of corn or grain sorghum; 50,000 pounds of barley; 50,000 pounds of oats; and 50,000 pounds of other commodities. (b) In case of default a contract shall be adjusted on the basis of the above weights. (c) In the event truck grain or ingredients are rejected by the Buyer for any reason, except for export, the truck shall not be released until the Buyer notifies the Seller and dispute is resolved. Rule 33. BALANCES: Any cash balances accruing to each Seller on a shipment shall be remitted on a prompt basis to last Seller after date of unload. If more than one Seller is involved, each must process papers and make quick remittance. Rule 34. OVERDRAFTS: When, for any reason, an overdraft has been made on grain shipments, and has been discovered before the draft is paid, the Buyer shall elect either to pay the overdraft for account of Seller, or to request the Seller to reduce his draft to the proper amount. In the event that the Buyer elects to pay the overdraft for account of the Seller, and in cases where drafts are so paid and an overdraft is not manifest until an account sale is rendered, the Seller shall reimburse the Buyer on demand for the full amount of said overdrafts. Rule 35. NET BUSHELS: When grain is sold subject to dockage and/or FM in accordance with the U.S. Grain Standards Act, the trade shall be consummated on the basis of the net weight. The Seller shall pay the freight charges on the gross weight to the price-basing point. Rule 36. DEMURRAGE: The Seller shall be liable for any demurrage and/or additional charges accruing on grain billed to “shipper’s orders,” when such charges can be shown to have accrued by reason of the inability of the Buyer to get possession of the bill of lading whenever said bill of lading is necessary to furnish disposition or facilitate unloading, provided that the Buyer notifies the Seller on the date of arrival. Rule 37. DIVERSION OF CARS: Shipments bought on destination terms may be diverted to points within the State without waiving the right of purchaser to collect from the shipper any differences due him for short weights or off grades, but shipments sold on destination terms may not (without the consent of the shipper) be diverted out of the State without waiving such liability. Rule 38. TRANSIT PRIVILEGES AND INSPECTION WITH DIVERSION: The Buyer is entitled to inspection, diversion, and/or transit privileges provided for in the contract in accordance with the tariffs in effect at the time of purchase or sale. A Buyer who has contracted for milling or processing in-transit grain is entitled to one transit privilege via the route available from Seller’s point of origin, in accordance with the tariff in effect, to the Buyer’s billed destination. Charges lawfully collected by the rail carrier accruing from the failure of the Seller to furnish billing carrying such privileges shall be for account of the Seller. On non-transit contracts this rule does not apply. (a) It shall be the shipper’s responsibility to exercise due diligence in loading suitable equipment in conformance with appropriate Interstate Commerce Commission regulations. (b) The party in possession of necessary papers for use in filing a loss or damage claim against the carrier, being unable or refusing to deliver papers to other interested parties before the time for filing the claim has expired, shall file a preliminary claim for the account of whom it may concern. Failure to do this will throw the responsibility for any loss on the party thus holding the papers. Second - Who receives a salary instead of a commission or brokerage. Third - Who acts for one principal to the exclusion of all others. (b) A broker has power to bind his principals only to the extent of his instructions and the principals are not liable for any acts of the broker in excess of such instructions. (c) A broker who, in good faith or otherwise, exceeds his authority is liable for resulting damages. (d) A broker who negotiates a contract without disclosing his principal’s name, is responsible as principal until the real principal’s name is given and accepted by the other party. (e) A broker who in good faith, negotiates a contract, which is in accordance with instructions from both his principals, who at the time of negotiation advises each principal the name of the other, and who completes such negotiations in accordance with the rules and customs governing such transactions thereby fulfills all his obligations and has no further liability to either of his principals. The contract so negotiated is valid and binding between the Buyer and Seller, the same as if it had been negotiated directly between them. (f) Brokerage shall be credited when contract is accepted by principals to the transactions. Rule 41. ALTERATION OF CONTRACT: The specifications of a contract cannot be altered or amended without the expressed consent of both the Buyer and the Seller. Any alteration mutually agreed upon between Buyer and Seller must be immediately confirmed by both in writing. Rule 43. FAILURE TO PERFORM: Failure to perform in keeping with the terms and conditions of a contract shall be grounds for refusal only of such shipment or shipments, and not for the recision of the entire contract or any other contract between buyer and seller. Rule 44. BUSINESS DAY/HOLIDAYS: For the purpose of these Trade Rules, a business day shall mean any day, Monday through Friday, except scheduled holidays. Wherever the term “holiday” or “legal holiday” appears in the Trade Rules, it shall mean those scheduled holidays observed by the Board of Trade, City of Chicago. Rule 45. UNIT TRAIN: For the purposes of these Trade Rules a unit train is 25 or more cars for movement as a unit under one bill of lading. (1) Written communication, confirmation or notification shall include those communications sent and received by postal mail, courier, or electronic means. The sender shall have the responsibility for the correct transmission of the message. (2) Rapid written communication, confirmation or notification shall mean communications sent or received electronically. The sender shall have the responsibility for the correct transmission of the message. (3) Telephone, verbal, or voice communication, confirmation or notification shall be confirmed by subsequent written communication.